Baby shower kits are the way to go if you are crunched for time, or you simply know what you want. You can find planning kits, shower game kits, and the whole party in a box! 24 Invitations with matching envelopes. To find your perfect, “party in the box” look for one that has decorations, paper products like- cups and plates, party favors, invitations, and thank you cards. The quickest and easiest way to shop for party kits is, online. With just a few clicks of your mouse, you can get everything you need to throw a beautiful baby shower! Minted.com, has gorgeous, boutique-style kits. 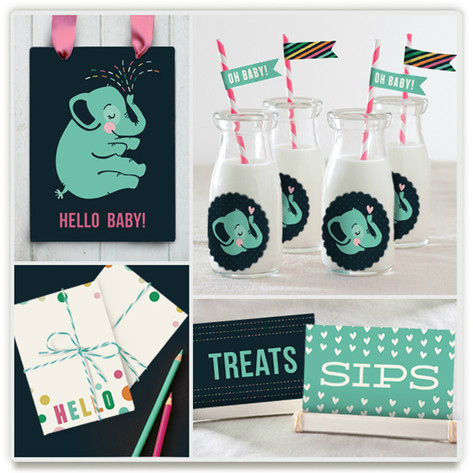 We love their shared baby shower ideas, their products, and their fresh style. 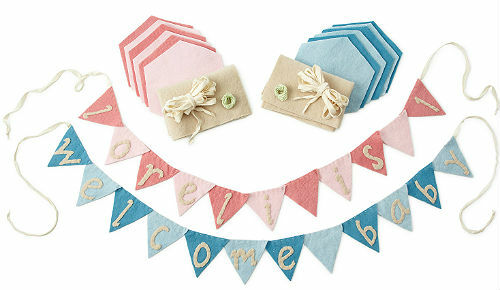 UncommonGoods Baby Shower Banner Kits. This felt sewing kit that allows stitchers of all skill levels to put his or her own spin on the classic decorative banner. The set includes everything the DIY fan needs: Needle and thread, including hand-dyed wool felt, cotton twill tape, cotton embroidery floss, and a handy instruction booklet. 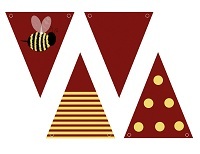 Each kit makes 36 7″-wide triangular pennants. You can even rearrange the letters for different occasions! Assembled in the USA. Even though popular, they can be tricky to find at times. Local party stores that have baby shower products (Party City, Party America, Hallmark, e.c.t) are great places to check, especially online. Celebrate Express, is another online party store that’s a great resource, especially if your watching your budget. Even though we love all these online shops; Keep in mind, you don’t have to buy a baby shower kit to throw a great baby shower. Depending on your theme… fresh flowers, a banner, and an attractive centerpiece may be the bulk of what your need for decorating. Check out, handy game kits for some fun baby shower ideas. They make great, easy entertainment for all your guests. You can look for packaged games, or download from an online site like this one: Funsational for Baby Shower Games! With over 75 printable baby shower games you print right from your computer! 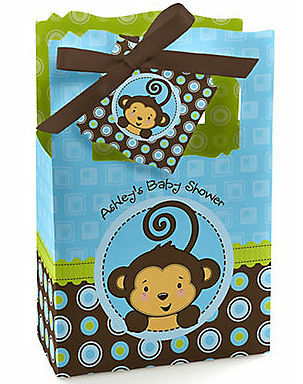 You can also check out the big box stores and party stores to find themed shower kits. Although, the largest variety, will be on line. Partypail.com is another site, where you can find unique and absolutely adorable, baby kits and shower decorations! 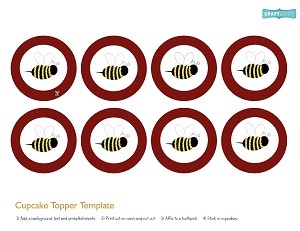 Monster Templates.com, is a great site for downloading free templates. 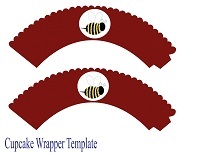 You can also use simple measurements for labels, banners and napkin rings, e.t.c. If you’re not sure what type of baby shower kit to purchase, or if you need to watch your budget- buy a game kit. Games are inexpensive, and a personalized game kit will make a lasting impression. Just download and print the items you need. In some cases, you may need to adjust your printer settings. All images are for personal use only. Find more free kits here. 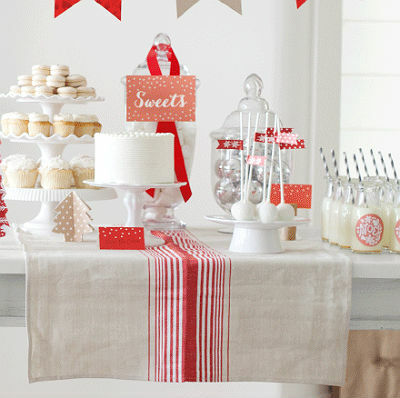 Check out our free baby shower decorating ideas for more ways to beautify a party.